A United Launch Alliance (ULA) Delta IV Heavy rocket carrying a payload for the National Reconnaissance Office (NRO) lifted off from Space Launch Complex-6 here at 11:03 a.m. PDT Wednesday. Designated NROL-65, the mission is in support of national defense. 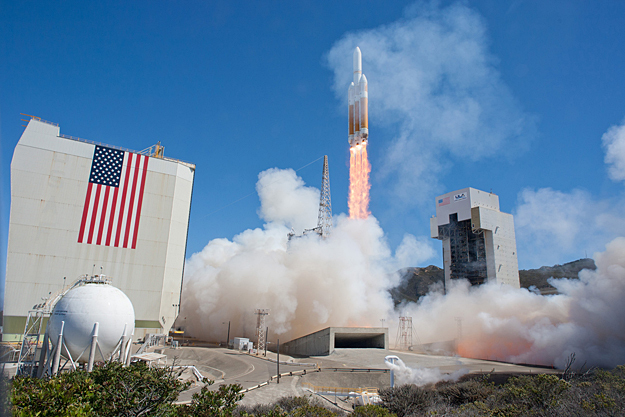 This is ULA's eighth launch in 2013, the 24th Delta IV mission and the second Delta IV Heavy launch from Vandenberg Air Force Base.